We have just one game this week. Been having a lot of single games lately. 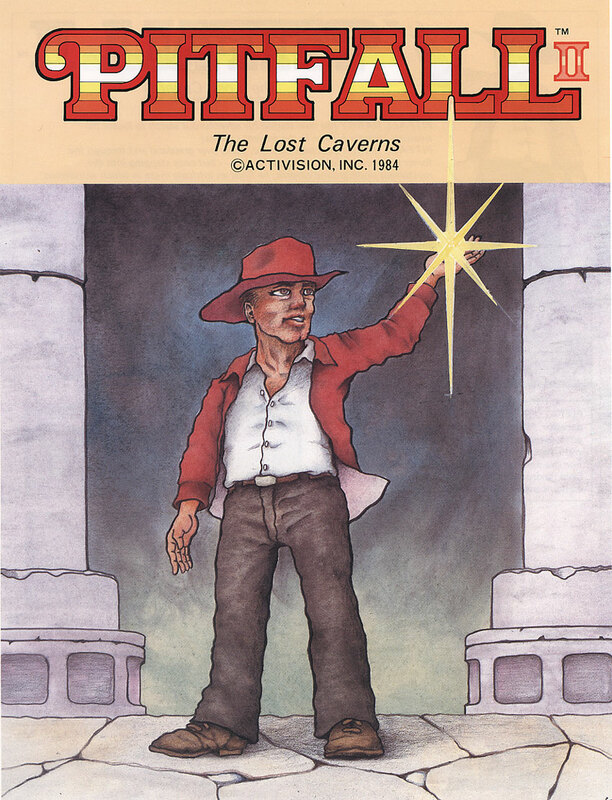 The game for this week is Pitfall 2: Lost Caverns. 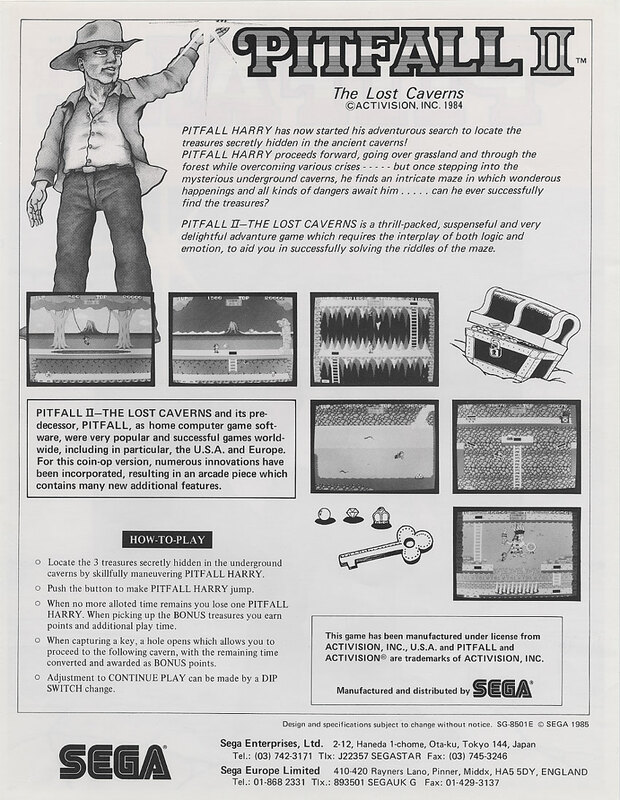 Pitfall 2: Lost Caverns was published by Sega in 1985. This is a reprogrammed version of a game of the same name released by Activision in 1984 for the Atari 2600. Pitfall 2: Lost Caverns is a platform game in which you control Pitfall Harry. Pitfall Harry is an explorer and treasure hunter always searching for new and exciting adventures. In this adventure we see Pitfall Harry brave the depths of long lost caverns he has found hidden in the jungle. The game consists of one massive level that is fifty nine stories deep and is split up into four sections. In each section you need to find a key to proceed to the next section but after the first section you must first find the treasure before the key is relieved to you. The game is complete once you find the third and last treasure hidden in the forth section. Once the key is collected and hole in the floor will open letting you proceed into the next section. You start out with three lives and a timer with three minutes on it. To receive more time you need to collect bonus treasure dotted around the world, such as bags of money in section one and ice flowers in section two. The treasure also add points to your score. The timer is also reset to three minutes if you die from being harmed or running out of time. The timer will reset to three minutes even if you have more then three minutes left on the timer.